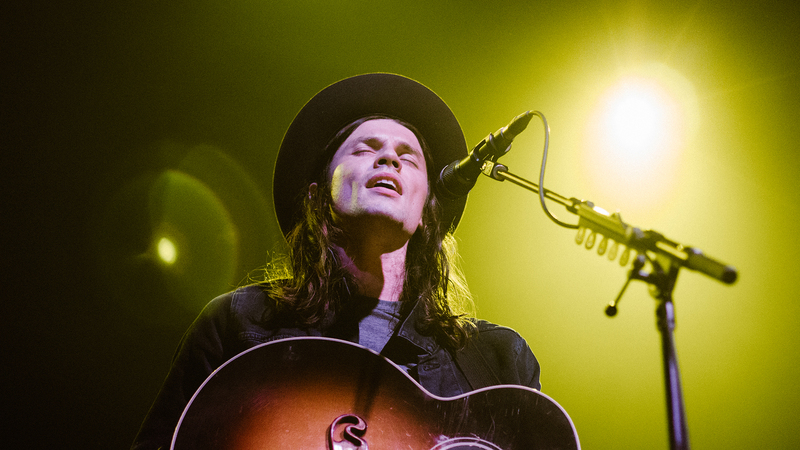 One thing is for certain when attending a James Bay concert—the feeling of strong emotion is completely unavoidable. The “If You Ever Want to Be in Love” performer was blessed with the gift of writing beautiful melodies rich with grit and sentiment, which is something that we learned when we got the chance to see him live at The Pageant in St. Louis earlier this month. Since breaking into the music world in 2014, Bay has toured with Taylor Swift, collaborated with Ed Sheeran, and was nominated for three Grammy Awards. His heart-wrenching single “Let It Go” climbed its way up the Billboard Hot 100 charts and was hands-down one of the big hits of this summer. After a year spent on the road playing shows all around the world for his Chaos And The Calm tour, the “Hold Back the River” crooner has now wrapped up his final string of dates for 2016. Luckily, we were in attendance at his tour stop in St. Louis to capture the near-end of it all. Check out our photos from his show, which featured an opening act by sister trio, Joseph, at The Pageant, below!